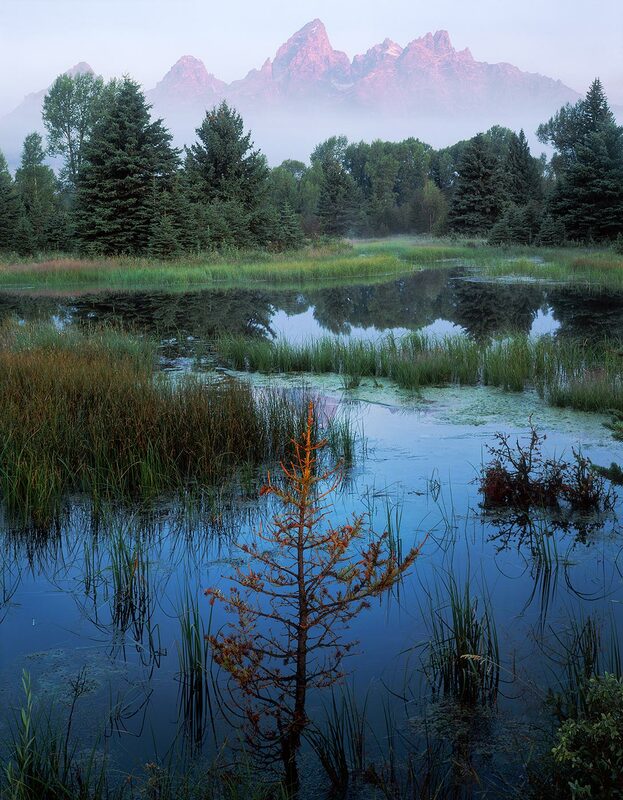 The first rays of sunrise cut through the morning mist, spotlighting a struggling spruce against the cool tones of a tranquil beaver pond. Grand Teton and its sister peaks float above the mist. This is the result of a week-long attempt to create a unique image among the many photographs of the Tetons shot from this vantage point every year.